At a Special Council Meeting held last night, just 2 days before the conclusion of the council elections (held by postal vote), BEAM was invited along with other people who made submissions to present their case to council. The extraordinary meeting was called as Infigen (the developer) had put their case to VCAT because council had not made a decision on the development with the 60 day time period. I assume that council was forced by VCAT to take a position before the issue is presented to the tribunal early next month. In the Agenda I discovered that there were 117 objections and just five letters of support. I heard that there were going to be over 40 presentations to council, each with a time limit of just three minutes. I suspected that BEAM would be the only ones who would be supportive of the development. I helped prepare the speech and agreed to present it, being the only one in a position to do so. I had been concerned about presenting our position in front of a hostile crowd in the lead up to the meeting. Peter Lockyer was with me for support. I had never spoken in a formal setting such as this before and it wasn't until 36 negative presentations were made, many applauded before a group of well over a hundred supporters, that Mitchell Environment Advisory Committee (MSEAC) presented. In their speech they did not oppose the development and made suggestions on how to address some concerns about flora and fauna, which was detailed in their submission. This presentation was heckled briefly. BEAM Mitchell Environment Group supports the development of wind farms in areas that have already been cleared of native vegetation and that have minimal overall impact on existing native flora and fauna. We believe the Mitchell Shire Council should support the development of the Cherry Tree Wind Farm, in line with the vision for a sustainable future outlined in the recent Mitchell 2020 Community plan. The key Council vision statement, developed with community input, acknowledges both climate change and peak oil as significant challenges for our communities in the next decade and beyond. Climate change will cause severe if not disastrous consequences for many people across the world, including Australia and here in Mitchell Shire. The evidence that this is caused by our use of fossil fuels is overwhelming. We have both moral and practical reasons to move away from a highly polluting coal industry towards renewable energy production. Council’s role in responding to the challenges of climate change and peak oil is clearly articulated in the various sections of the Mitchell 2020 Community Plan. The role of council includes providing leadership and wisely using its planning powers. Here is a key opportunity to provide leadership on a key challenge for our time, in line with the many shire residents who provided input to the development of this plan. Renewable energy will come from a wide diversity of technologies that will balance the day-to-day variations in input from the sun, wind, tides etc. Wind power is one valuable source of renewable energy and is already a significant part of the mix of renewable energy sources across the world and in other parts of Australia. For example, in 2011-12, approximately one quarter of South Australia’s energy production was from wind power. Any concerns about the location or building of wind farms should be considered alongside the benefits of reducing carbon emissions locally and compared with the negative impacts associated with fossil fuel power generation. We do not see why the bar for wind farms should be so much higher than for other developments. We have some concerns in relation to the Cherry Tree Wind Farm, regarding the impact on native vegetation and wildlife, and these are fully outlined in our written submission. BEAM believes these issues can be adequately addressed within the planning permit process. We feel that the benefits of the proposal outweigh the negative impacts, as it is becoming increasingly clear that there is a real need to transition to renewable energy sources, in response to declining resource availability and climate change. The wind farm appears to us to be well sited, is on already cleared land and we see opportunities to get good outcomes for the land and biodiversity of the area. Immediately as I sat down a woman behind me asked me aggressively "Where do you live? ", and the feeling in the room was hostile to say the least. A few more opposing presentations followed before the session ended. One man interjected and insisted that he be heard, which was denied (the session ran overtime), he later approached me and spoke told me in an unfriendly tone that I "didn't mention the people". Meanwhile two Infigen representatives were being abused by another woman. I got out of there and caught up the Infigen and MSEAC reps at a fish and chip shop for a drink to quench my dry throat, while we waited for the council meeting to be held soon after. I watched four of the councilors present their positions on the development before walking out exasperated. All of them caved in to the pressure of the group before them, some were clearly supportive of wind energy, but "not in my backyard" (NIMBY). There was also an amazing conversion of councilors, along with objectors, to 'concern for wildlife' and a general support for renewables - people would just rather that it was somewhere else. Interesting how these people didn't listen to the ways in which issues regarding wildlife could be addressed by local, respected environmental representatives. There was huge concern by local residents about possible health implications, I believe largely fed by the Australian Landscape Guardians and their relatives the Australian Environment Foundation and Waubra Foundation. I discovered an investigative article entitled "The ugly Landscape of the Guardians" about these groups recently that exposes them for who they really are. They have whipped up residents of the immediate area into a frenzy of worry, feeding on fears of the unknown. I believe that health fears are largely exaggerated, as Simon Chapman illustrates in his talk on ABC's Science Show: Curious distribution for wind turbine sickness. I was asked why I supported the wind farm and have been thinking about it since. We (modern humans) depend heavily on energy for our way of life. I believe that 'we' are headed for a long period of energy descent, as the peaking of oil supplies and climate change events converge while economic conditions continue to deteriorate. We have a limited opportunity to use the currently available energy to build the infrastructure that can help glide us down the path towards a low energy future. The alternatives are not that attractive, collapse being one of them. 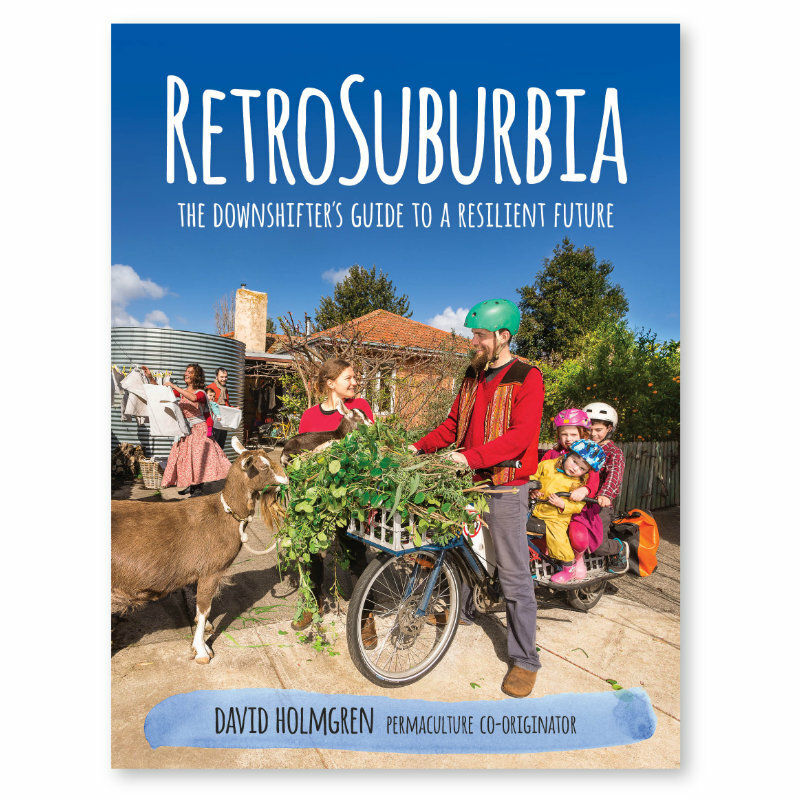 For more about these "future scenarios" check out David Holmgren's essay of the same name. I see permaculture thinking as the only way out of the mess that we have created for ourselves. I'm glad I stood up for what I believe in, even if I wasn't heard. JUST IN: Have your say on the Renewable Energy Target that energy companies want to reduce. Let's set our own target. Richard - congratulations for standing up and fighting the good fight. I'm glad you stood up for what you believe in and for sharing the story in your blog. Yet I do believe so little is known about the effects of renewable technology. I can understand when a community says no, if there are concerns no addressed. We have a Coal Seam Gas company promising new jobs and prosperity in the Lockyer Valley (Qld) and yet we are considered the "Salad Bowl" of Qld too, where we grow most of the food for our State (and many others) here. There is a conflict over the farm irrigators rights to clean water, versus CSG that have to do something with their polluted water, which could seep into the water table. Many of the community organisations have successfully stalled the CSG application process through Council. Whilst it may be frustrating for those who were counting on CSG, when it comes to food safety in the community, it's one of those things you have to be absolutely sure poses no risk. I don't know much about wind farms, but I think the community has reason for concern if there is any risk to health. It sounds like your community group (BEAM) did a lot of work on the negative impacts to wildlife, and successfully volleyed for changes to avoid negative impacts. But your group was not designed to address the negative impacts on human health. If you were rejected, I suspect it wasn't because you failed at what BEAM set out to achieve (safety for native wildlife) but they didn't hear you address their concerns about human safety. No-matter how great a technology promises to be, it really ought to get the consensus of the majority of the community, simply because if anything goes wrong (anything which wasn't accounted for) it will be the majority that will be effected. Corporate interests aren't in it for the benefits of renewable energy. They are in it for profits. Once they get Council approval, they have been given permission by the community to make profits, whatever they decide is in the corporations best interests. So it's only fair these corporates get scrutinised to the absolute hilt before approvals go through. It's only fair the community grills them for more than green talk about high ideals. Once upon a time, oil promised everyone a prosperous future too. I have a vintage magazine with several advertisements for an oil company, promising this safe new technology, guaranteeing investment returns. The only reason these ads stood out to me at the time, is because it was the name of the same company that was having an oil spill (many decades later) into the Gulf of Mexico. It was one of the worst, causing the most damage to the environment in known history. Barack Obama had some pretty condemning things to say about the company, suggesting he was wrong in his belief in the oil industry's failsafe procedures and preparedness for disaster. Which is what you find time and time again with corporate driven technologies. They don't plan for worst case scenarios, but it's always up to the community to foot the bill for any damages incurred later. You stood up for what you believed in and that wasn't wrong. Given the track record of corporate driven technologies however, I can understand why the community wants more than just green talk. PS: I hope what I have written doesn't come across as unsupportive. Just saying I see both sides. Well done on standing up and taking the moral high ground. I felt your pain whilst reading the blog and identified with it though my life experience in dealing with those who choose the comfort of their set of blinkers and are averse to removing them or even looking at something differently. As that wonderful saying goes..."You can lead a horse to water, but you may never make it drink". Great blog, look forward to reading more. Thanks to those of you who have written in and given me your support. It's been, and still is a difficult issue. The reason that I got involved is because I believe that we need to reduce our dependance on fossil fuel and, more importantly, reduce our energy consumption. I never really wanted to to stand up for corporate interests and don't feel that I have. I also don't feel that I'm taking the moral high ground. It really comes down to self-interest. While I can produce for most of our own personal needs where we live, I can't produce enough for everyone else's needs (those immediately around us). I'm looking at the big picture here. It's not about me, its about my local community, my country and the world at large. If the world and the environment suffer, then we all suffer... it'll catch up with us. With regards to health impacts from Wind Turbines, there are links in the article - in short, they have been exaggerated. CSG is another story - watch Gasland!